As part of CSC Services commitment to being a single source solution for carrying out the repair and installation of waterproof and industrial coatings to service reservoirs and other buried structures, we have trained and qualified excavator drivers as members of the repair and coatings teams. This practice enables a better working knowledge and understanding of all aspects of the works at hand. This in turn aids a quick systematic completion of works and a swift return to service of the assets. 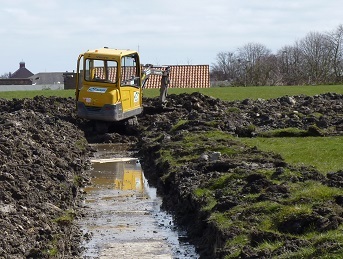 CSC Services have provided trained excavator drivers to water companies across the country usually to dig off over burden in order to repair leaks to reservoirs, and often in emergency situations.